Are you looking for beach vacation destination this spring or summer? 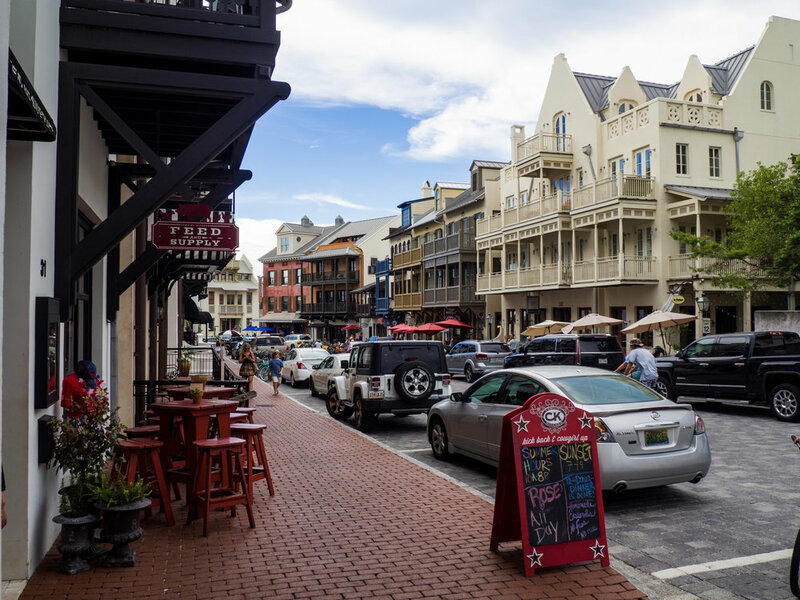 I have a great recommendation for you - Rosemary Beach! 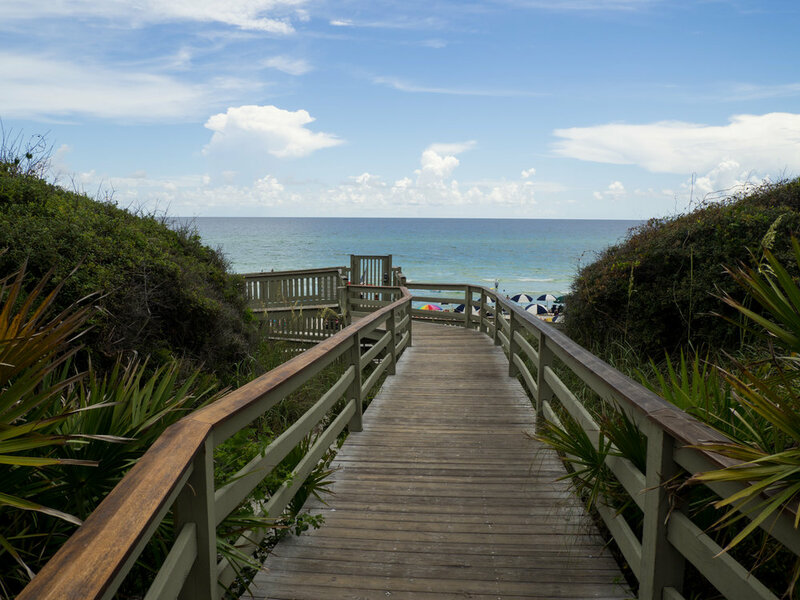 We visited the Florida gulf -- a section called "30A"-- and fell in love with the area! It is one of the most beautiful beach towns I've ever been to. The white sand and crystal clear waters rival any spot in the Caribbean. 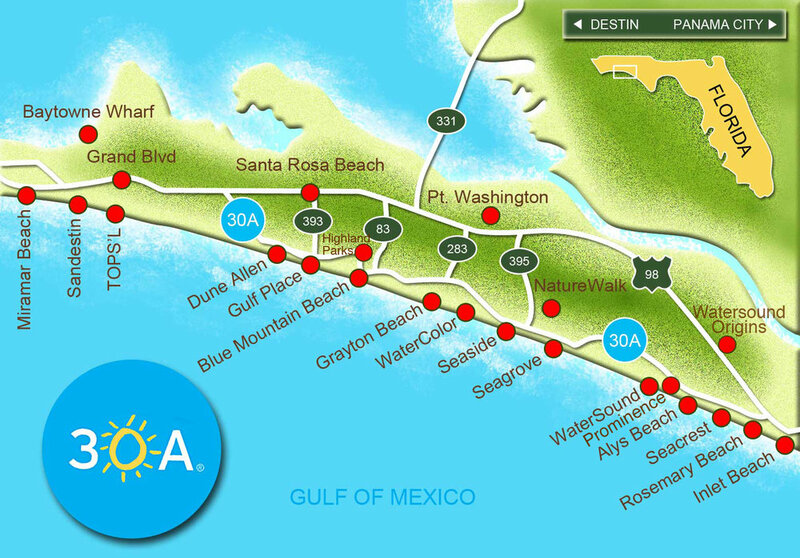 30A stretches 18 miles and includes 12 distinct beach communities. 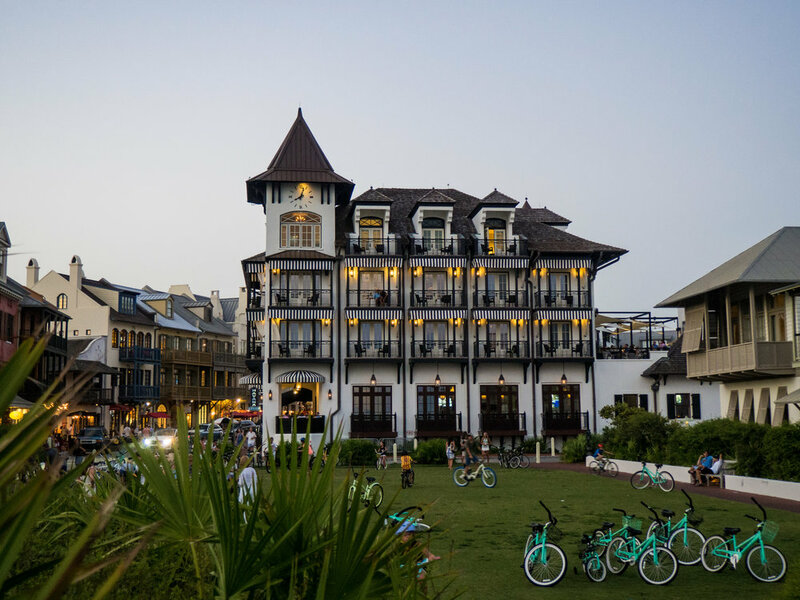 Each beach town has a different vibe but they are close enough you can bike from one to the next and enjoy what each town has to offer. In my view a huge benefit of 30A is the accessibility to the airport. 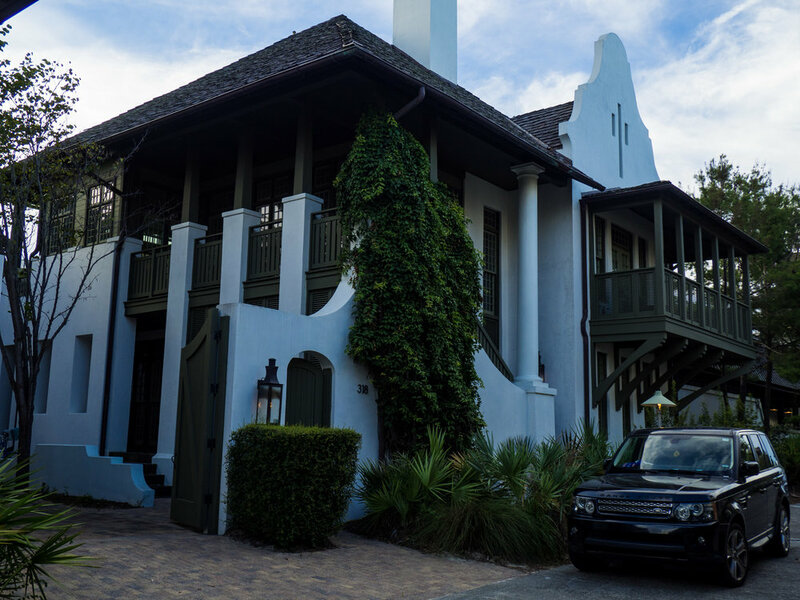 Rosemary Beach was only a 30 minute drive from the Panama City airport which has great Southwest connections. The vast majority of accommodations are rental houses. The houses vary from 8+ bedrooms to small studio carriage houses. Visit https://rosemarybeach.com/ or vrbo.com to find a rental. There's also one hotel in town -The Pearl. The hotel is nice, close to the water, and had a great bar. Every house is gorgeous! You do not need a car. You can easily get by with walking or biking everywhere within Rosemary and the surrounding towns. Uber and Lyft are available but not nearly as widespread as in major cities. Restaurants One of my favorite parts of the Rosemary experience was the number of quality restaurants in the town! A few of our favorites included Cowgirl Kitchen, Edwards, Havana Bar (get the 30A Lemonade! ), La Crema, Wild Olives. During peak season, I recommend making reservations for dinner. Another great spot that is only accessible via the beach is Crabby Steve's. It's a classic beach bar that's perfect for lunch or afternoon drinks. Rent Bikes! You can bike along 30A or just within Rosemary. Check out the Rosemary events calendar. There's always something going on from concerts to festivals to farmers markets. Build an epic sandcastle with the help of Beach Sand Sculptures. Rent a boat to explore St. Andrews Bay and Shell Island. Play a round of golf at Santa Rosa Beach Golf Club. Enjoy a relaxing spa day at Vivo Salon and Spa.